The Acid Blondie Red is tagged with free shipping. If you order this product, your entire order will receive FREE BCP Ship Saver shipping! 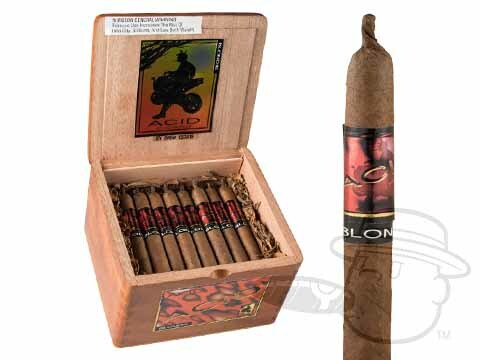 Showcasing a creamy Cameroon wrapper leaf over the brand's signature infused blend of long-leaf tobaccos, the Acid Blondie Red just may be the smoothest Acid experience yet. Treat yourself to these one-of-a-kind cigars and be immersed in pure aromatic bliss. I smoke these Blondies! The Red has a little hotter, spicier, than Blondie (Blue) but tasty for a change. Acid Blondie Red is rated 5 out of 5 based on 5 customer ratings.